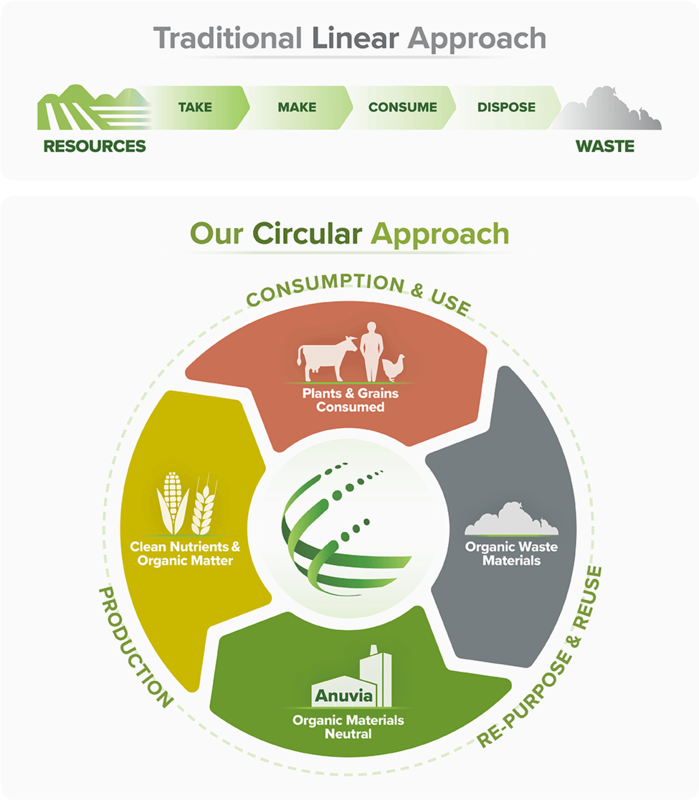 By transforming organic materials into enhanced efficiency plant nutrition products, Anuvia provides a way for communities and industry to use organic materials that may otherwise be wasted. More and more, the world is moving towards a circular economy. Whereas a traditional linear economy makes, uses and disposes of resources; a circular economy keeps resources in use for as long as possible, extracts the maximum value from them while in use, then recovers and regenerates products and materials at the end of their lifecycle. The result is greater resource productivity, less waste and pollution. Developed using our patented system, Anuvia has created a more efficient way to utilize organic waste materials. Our novel products deliver bio-based nutrients efficiently with less loss to the environment and better utilization by plants. The result – more sustainable economics. At Anuvia, sustainability never comes at the expense of performance. Our products are designed and tested to deliver the results you need, with the added value of sustainable solutions and environmental benefits. You can feel good at application, and when you see the results.